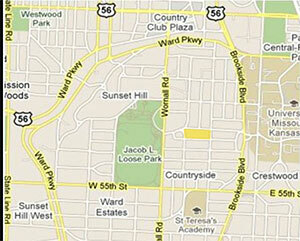 Do you know this history of this Countryside neighborhood block? 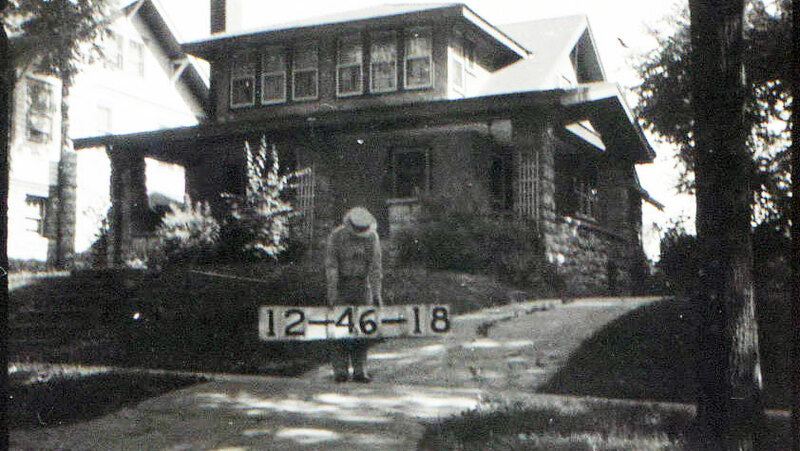 This 1940 photo shows a home at 24 W. Concord in the Countryside neighborhood. A reader asked us to feature the Countryside neighborhood, so today we look at some of the homes in that neighborhood south of the Brush Creek that started out as a farm. When Countryside was platted in 1908 as the Country Side District, it became a prime location for development. The Country Club street car line had been extended to 51st and Brookside that year. It was near the Kansas City Country Club, which was on the site of the current Loose Park, and J.C. Nichols was developing his Country Club District. The Simpson-Yeomans-Country Side National Historic District is known for its late 19th and 20th century revival architectural styles. Today’s slideshow features the area from 52nd Street south to Concord Avenue, and Wyandotte Street east to Main Street. The slideshow at the end of this post shows some of the homes that existed in this section when the 1940 tax photos were taken (some photos are missing from the collection). i grew up at 46 West 53rd. Northwest corner of 53rd and Wyandotte. I recognize a lot of the houses in the photos. We lived in that house at least 20 years. Pic # 12-46-18 shown at the top belong to the Shloegels. Then the Steuves, owners of LaBona Berge restaurant downtown. We lived across the street for about 40 years. Lots and lots of kids in that neighborhood. Irish catholic neighborhood. Most kids went to Visitation school. Parents were friends from the Vis PTA. Did a lot partying together. A lot of the houses shown in the slide show are on 52nd street. I could name a lot of the owners from back in the 50’s & 60’s but time has cleared that from me. I didn’t see many pics of west concord. Is there any? LIVING AT 15 WEST 52 ST. FOR THE LAST 50 YEARS AND HAVE SEEN ALL THE PARTY CROWD MOVE TO ST.THOMAS MOORE PARISH; GLAD I STAYED.